Looking fresh during a commute is tough. Our poise fades away once we are squished in that jeep and pushed in the train. Let’s also consider the heat and rain that we encounter which can add up to our makeup mishap. Once we have reached our destination, our day hasn’t even started but we already look like we just finished a whole-day battle. Actually, we just need the right products to help us survive this concrete jungle struggle. Here are items to add to your to-go kit for those commute days. A facial sunscreen is an important must for every morning skin care. Metro Manila has an all-year round of hot weather which makes us think twice about using sunscreen due to its uncomfortable greasy feel. The Pond’s White Beauty Daily Whitening Sun Protect with SPF50 PA+++ has a high level of protection from the sun. It also has a non-sticky and lightweight feel which is perfect for people who are always outdoors. When looking for a cream blush for your everyday wear, look for one that is non-oily, lightweight, and waterproof. Its finish should also give a healthy glow rather than looking shiny when on the run. The K-Palette 1 Day Tattoo Lasting Cheek Tint does all that, and its formulation adjusts to suit one’s skin tone for that natural flush which we are all up for. Its name also promises that its pigment will be in place even throughout an eventful day. If you are into full yet natural brows, we recommend brow pens because their tip is usually fine and its formula doesn’t make your brows look hard. The Maybelline Tattoo Brow Ink Pen is an upgrade tool. The applicator looks intimidating at first but its tri-tip is what we need to keep our brows intact without smudging or transferring. 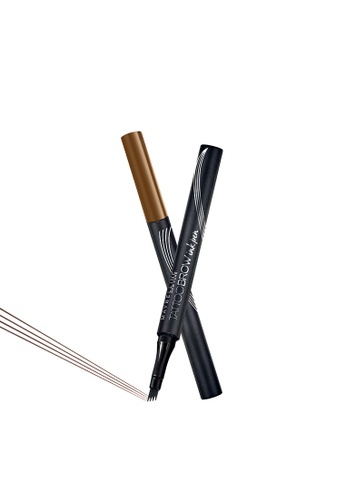 This product also fills in your brows double time which is perfect for girls on-the-go. Skip the foundation and just proceed to concealer to cover your problem areas so that it won’t be too heavy. The Covergirl Outlast All-Day Soft Touch Concealer is full-coverage which is great in hiding unwanted blemishes and dark circles. This flawlessly dries down to a matte finish which will not melt even during your hottest commute. Compared to a typical compact powder, a blotting powder is a lot better to bring around because it doesn’t make your face look cakey and it doesn’t move the existing makeup all around. 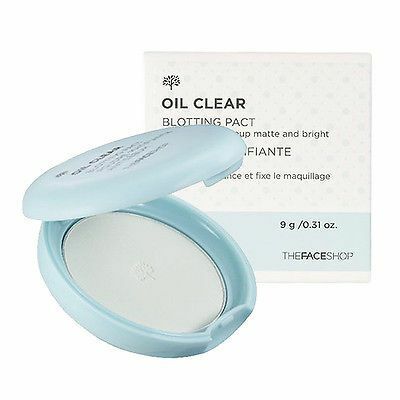 The Oil Clear Blotting Pact from The Face Shop is a blotting powder with a refreshing feel that will switch your face from haggard to fresh in an instant. When you’re out for too long, there is always the need to reapply lipstick. Although, there are tendencies when we forget to do so due to our hectic schedule. The Maybelline Superstay Matte Ink stays locked in place for a full 16 hours. You’ll also forget that you have matte lipstick on because of its utmost comfort. Its shades are natural which is perfect for everyday commitments which is a plus! When commuting, it’s always better to leave the house in natural makeup because it’s a lot easier to retouch. Commute life may be crazy, but the busy streets should not affect your performance through the day. Makeup is there to give you that much-needed boost as you brave your daily grind! If you want to cop more items to add to your daily beauty kit, drop by #GlowGurl, a beauty fair happening on Aug. 18-19 at U.P. Town Center. From booths offering the hottest products to workshops from inspiring glow-getters, this gathering is something you shouldn't miss! We hope you can join us in celebrating our own kind of beautiful! We can't wait to see you there, gorgeous!